Flow classes are fast-paced and take more energy, they are a yoga choreography of sorts. In flow classes, classic yoga poses – sitting, standing, balances, inversions, etc. – are synchronized with the breath. Each pose segues right into the next one. If already you know the basic poses and if you love to dance, try a flow class. In any given flow class, you will find elements of several types of yoga, from Hatha to Ashtanga, put together by your teacher to create a unique flow. 50/50 with Dragana - LEVEL ♨ This class is about being 100% Alert, Alive and Awake! AAA. In the first 50% (45min) of class, there will be conscious, slow movement, starting with Pranayama (breathing techniques) that will allow you to slow down and connect with your inner guidance, followed by simple and classic asana movement to shift your focus from pose to pose. The second 50% (45 min) of this class, we will surrender to a deep, restorative, healing practice on the floor, inspired by Dragana's famous Saturday Floorplay class. 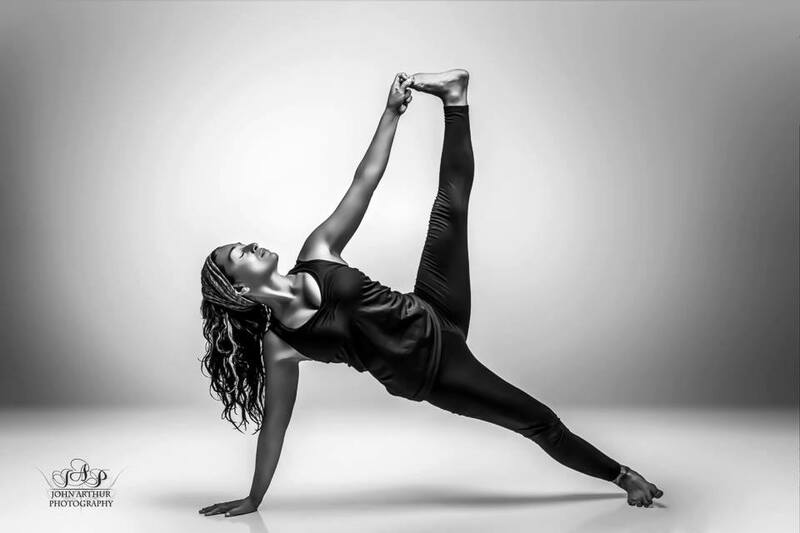 Warrior Flow with Charity or Jenna - LEVEL ♨♨ A 75 minute flow class, moving with breath, taking you through a variety of poses. Dedicated to relieving and detoxifying from the effects of winter. Yoga Work-IN with Dragana - LEVEL ♨♨ Early morning class to start your day. Work-IN is a Navel Series to awaken AGNI - Fire. Guided by the powerful breathing technique we shall flow in our practice from the CENTER. Focus: feeding and awakening the fire within to energize and cleanse, body, mind and soul. Navel strengthening flow, cleansing twists, focus Within! Asana Play with Erin - LEVEL ∞ A 75 minute class. During this class you will be encouraged to refine a variety of poses while creating playful ways to flow from one posture to the next. Flow with Laughter with Brittney - LEVEL ∞ Incorporates Laughter Yoga and Vinyasa. Laughter Yoga originated in Mumbai India incorporating laughter into small exercises to replenish the body of oxygen and dopamine. Vinyasa is a series of yogic postures that transition with each breath. Prepare to have an experience with yoga like no other. Form and Flow with Jaimee - LEVEL ∞ A mix of vinyasa and alignment, this yoga class emphasizes the connection between the body's movement and breath, while ensuring proper positioning of the body in each asana (or pose). It starts with a few warming sun salutations, followed by a series of stretches and openers to prepare the body for a specific peak pose - such as a back bend, inversion, or arm balance - and winds down with counter poses and relaxation aimed to rebalance and integrate. Power Hour with Brittney - LEVEL ∞ Uses the inspired techniques of Baptiste Power Yoga, Brittney will challenge you in your yoga practice. Her effervescent attitude will allow you to feel at ease no matter how challenging the pose or moment may seem. Practice Lab Flow with Carol - LEVEL ∞ Invite the conversation of what makes yoga work in a flow style class. Expect challenging, creative vinyasa style sequences with attention to alignment and sound bio-mechanical principles. For more details, see Hatha Yoga section. Holy Yoga with Carrie - LEVEL ∞ Holy Yoga offers scriptural meditation, breath work and movement that combines Hatha yoga with experiential worship and wellness. Develops, strength, flexibility and balance. Creative Yogis with Erin or Carrie - LEVEL ♨ In this class our youngest students are guided to explore the potential of their movement but also of their imagination through basic yoga poses and general movement. With an emphasis on music, beat, space, direction and timing, creative yogis allows for deeper body awareness and a whole lot of fun! Ideal for preschool and younger elementary, but all children at heart are welcome!